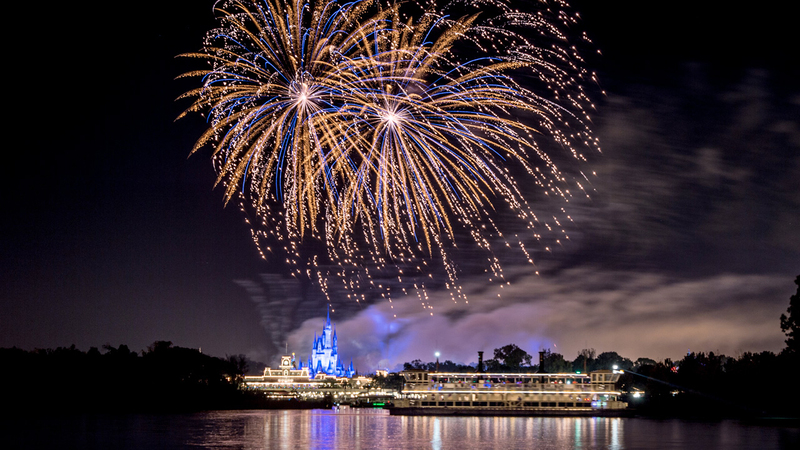 Beginning April 8, Ferrytale Fireworks: A Sparkling Dessert Cruise will feature new, magical décor aboard the ferryboat, enhancing its fireworks theming. In addition to the popular ultraviolet scavenger hunt for younger sailors, a strolling magician will welcome guests onto the ferryboat while they wait for the Magic Kingdom Park fireworks. The signature menu also features a new selection of specialty desserts such as cheesecake bites, cherry pie tarts and a warm s’more brownie skillet. Firecracker Fizz and the Grand Finale are two of the highlighted beverages aboard the ferryboat, joining the wide selection of beers, wines and soft drinks already available. The event begins 1 hour and 15 minutes before the start of the Magic Kingdom Park fireworks and the experience is approximately 90 minutes. Reservations can be made online or by calling 407-WDW-DINE. This is a pre-paid experience, available for $99 ($69 ages 3-9) per person, including tax and gratuity. A 10% discount is available for DVC Members and Annual Passholders.